At TruValue Real Estate Services, we understand both the intricacies of the appraisal process and the rapidly changing real estate market. 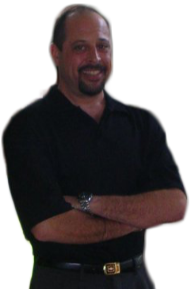 Jason E. Manzo, founder and Chief Appraiser of TruValue RES, Inc., is Florida State Certified. He has been serving the Southeast Florida Region for two decades, and has been appraising Residential Real Estate for nearly three decades. TruValue Real Estate Services is an experienced provider of real estate appraisals for the mortgage-lending and non-lending marketplace. This experience means you can count on an accurate and timely appraisal of your property. Our high profile clients span from Lenders & Mortgage Brokers, Attorney's & CPA's, and Corporations & Private Homeowners. On our website, you will find information on the major aspects of the work we do as appraisers. You'll also learn why it is critically important to choose the right company to appraise your valuable property. Take a moment to review the section most suited to your needs to discover why TruValue RES, Inc. would be right for you. We are positive that you will find TruValue Real Estate Services to be The Residential Appraisal Source for all your current and future appraisal business. We specialize in Residential Real Estate Appraisals within Palm Beach County, FL. Though our use of innovation and technology we are able to pass the savings along to you and keep our appraisal prices competitive. Come see why our customers consider us to be the preferred residential appraiser in the Southeast Florida area, and we invite you to evaluate our professional service for yourself.